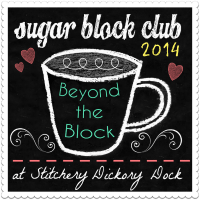 For Christmas last year, the wonderful RR bought me a week-long couture sewing class in Baltimore with Susan Khalje. Wow! A whole week of learning high-end couture sewing techniques with a group of like-minded ladies! Sounds too good to be true, right? Well, after months of anticipation, trying to decide on what to make during the class, and (most recently) butterflies in my stomach thinking that everyone else is going to be a bazillion times better than me and will surely laugh at my pitiful attempts at sewing, it’s finally here. I’m in Baltimore (the vagaries of the US transportation system notwithstanding…) and the course starts this morning. I am more than excited! So – what did I finally decide to make? But then, a couple of weeks ago, I came across this free Marfy pattern – 1756 – for a similar, but altogether more elegant jacket. That put me into a bit of a dilemma, as I loved this jacket too. 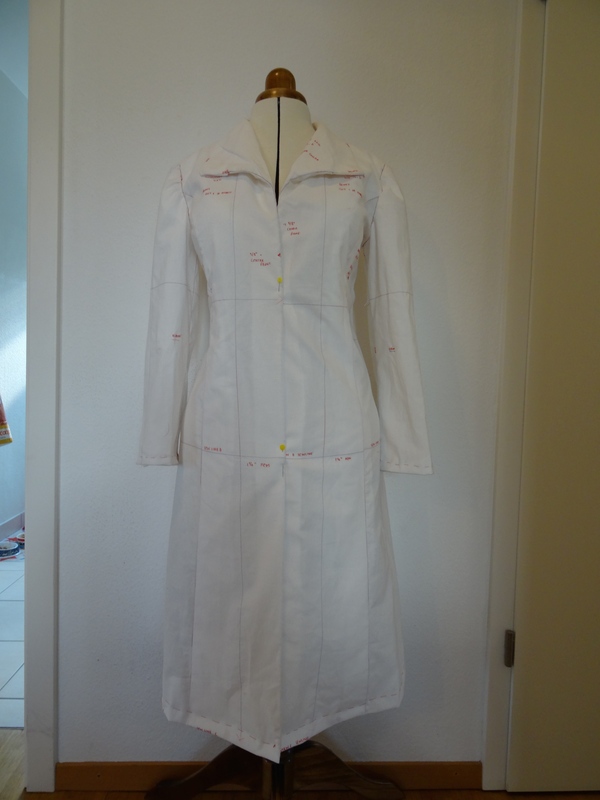 So I decided to make a toile for the Marfy jacket as well, and then let the fabric decide once I had picked it. I arrived in the US just over a week ago, and have been staying with friends just north of New York. This, of course, presented me with the ideal opportunity to pop into the city for the day to do a touch of fabric shopping. At Susan’s recommendation, I schlepped down to the Lower East Side to the fantastic Mendel Goldberg on Hester Street. The wonderful Alice devoted a good couple of hours to helping me pick out a bouclé for my jacket and a matching silk charmeuse for the lining. It was divine! I was like a kid in a candy shop, and I seriously could have spent thousands of dollars in there, but in the end I was very restrained and confined myself to this. 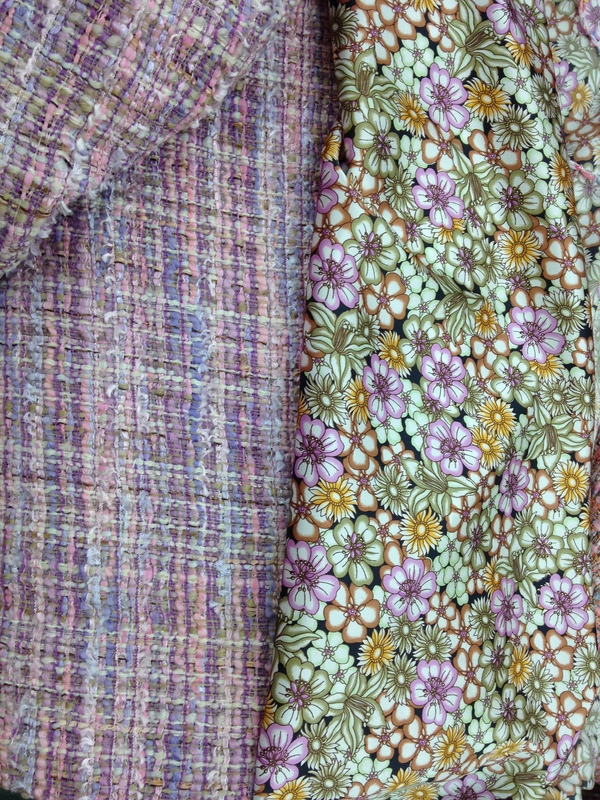 After much deliberation, I think the fabric would suit the Marfy jacket better, so that’s what I’m going to make. 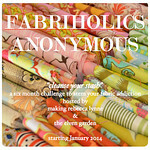 So my pattern is chosen, my toile is ready, and I am abuzz with Tiggerish excitement. I’ve been awake since the crack of dawn! So all I can say is roll on 9.30, when the course officially starts and I can finally get stitching! Did you buy enough of the silk floral to make a matching blouse or dress to go underneath the jacket? That would look so sharp. Post updates and enjoy the class. You will learn as much from them as they will learn from you. Ooh, looking forward to seeing your marvellous creation!